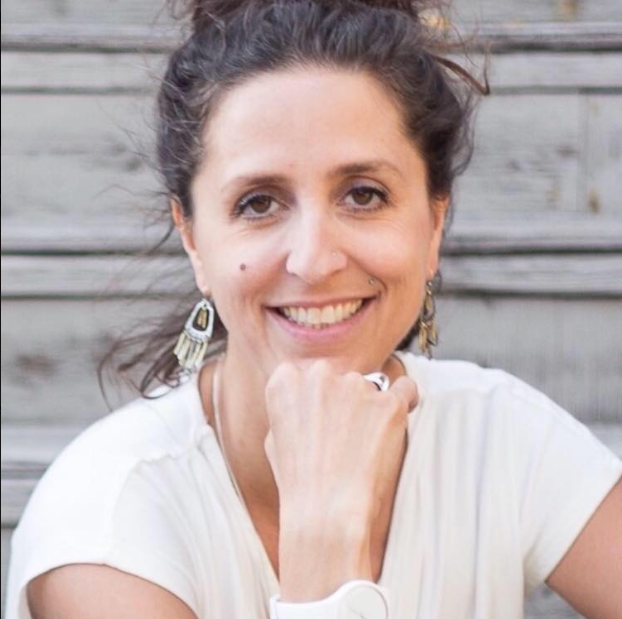 Shyloe Fayad is Okanagan based and the CEO & Primary Wonderer at Radical Wondering Collective. An essential oil user since in the late 90’s and now an essential oil educator, in this article she discusses the 3 most powerful essential oils for pain and inflammation. This is a great article for you if you are suffering any pain. It could be an acute pain or chronic pain. And also, if you are suffering from arthritis or any sort of inflammation, this information could be of benefit. Lavender is my very first recommendation for pain and inflammation and like I said before, Lavender is considered the Swiss Army knife of essential oils. It is one powerful essential oil and something that every household should have. Lavender has a ton of research and studies behind it. There was a study done in 2012 that showed there was reduced pain for people who specifically suffer from migraines. And the severity of their migraine was reduced after inhaling Lavender. There was a study in 2013 that treated children who had just had a tonsillectomy. They inhaled Lavender as part of their healing process and their necessity for acetaminophen post-surgery was reduced. A study in 2015 showed that the anti-inflammatory analgesic pain relief properties of lavender can be comparable to some prescription pain relievers. Your olfactory system is one of the most powerful senses that you have. As mentioned on the last article, when you inhale an essential oil it actually goes into the limbic system of your brain and can affect your emotions and your mood, as well as Lavender’s other properties when applied topically. Just one or two drops in your palm, then rub your hands together and just inhale deeply from your nose. This is the easiest way and will give you the quickest effect. You can put anywhere from 3 to 7 drops to 15 drops, depending on your specific diffuser. You can diffuse it in your house and you will reap the rewards of lavender as a pain reliever even through your olfactory system. There is a whole modality of healing called aromatherapy that has used essential oils as healing modalities for years. And the Lavender sold by Young Living has been approved by Health Canada that uses the natural health product. When I say carrier oil, I mean like regular oils like a coconut oil, avocado, and sweet almond oil. These are all great choices of oils for your skin. 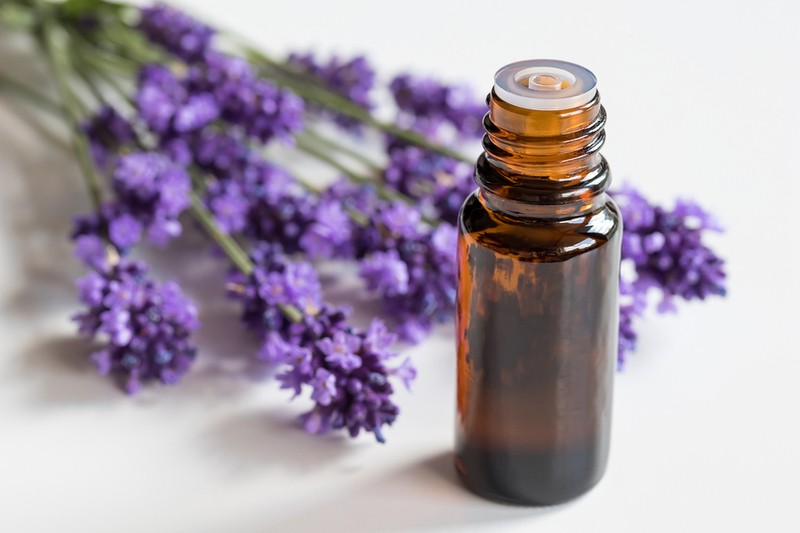 You can add drops of lavender to a carrier oil and you can use it on your body. The reason I’m suggesting carrier oil is because everybody’s skin is different. But lavender is actually quite a mild essential oil. So in order to make the maximum use of lavender as an essential oil for pain and inflammation, you can inhale it in the palms of your hands, use a diffuser, or you can use it right on the location of your pain. If for example, you have leg pain, you can use the lavender directly on the sore spot or in a carrier oil and apply it on your leg. Also, one of the best-recommended places to use essential oils so it can actually penetrate your skin is at the base of your skull, where your skull meets your neck. Essential oil molecules are so minute that they penetrate the epidermis very quickly and enter the bloodstream. And so this can actually impact your brainstem and reduce the body’s drive to push out some of those chemicals, noradrenaline, and cortisol, in the body that is associated with stress and will help calm everything down. Wintergreen oil contains methyl salicylate which is basically nature’s aspirin. It is a phenomenal anti-inflammatory and analgesic, so it is a painkiller. Wintergreen, to me, is very concentrated. So for those who use it, be very aware that it is a very concentrated oil. If you were to ingest it in large quantities, it can be toxic. Just like Stinging Nettles, for example, it is safe to take internally in a tea but if you rub it on your body, you get a rash. Therefore, some natural products will have some challenging side effects when not used correctly. 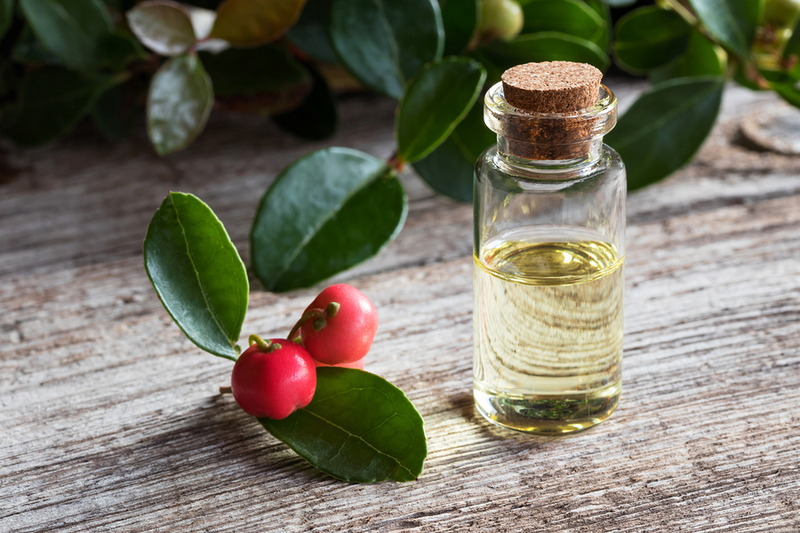 With Wintergreen, I suggest use it in the carrier oil and apply it topically to the area of your body where you’re having challenges. Wintergreen is also believed to be one of the best inflammation-fighting compounds in the world. It has a bit of numbing effect and it also contains antioxidants which are really good for pain management. Wintergreen is one of the only plants that have enough concentrated amount of methyl salicylate that actually can be extracted and used as a supplemental product, as a natural health product. Wintergreen is also recommended for chronic pain as well and what is highly suggested is a combination of wintergreen and peppermint together. So what I would suggest as a combination would be 10 drops of wintergreen and 10 drops of peppermint in a carrier oil and then using it as a massage rub on your body. You can decide on your own if you want to use those products neat, so that means totally 100% unadulterated. If for example you do by mistake and you apply an essential oil directly on your skin resulting to a burning sensation, what I encourage you to do is to get just a pure oil, like an olive oil, and then rub it in that burnt spot. The action of the pure oil is rubbed on the affected spot will remove the pain brought by that other essential oil. 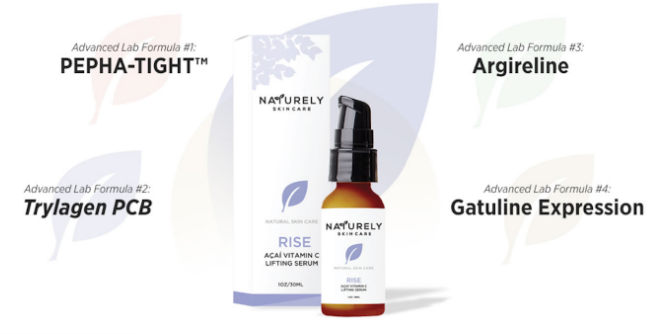 It will naturally dilute it so your skin will not hurt anymore. In 2004, 14 studies published in the Journal of Complementary and alternative medicine, said that the combination of peppermint and Wintergreen was particularly effective in reducing inflammation. I love frankincense! Frankincense is an excellent general pain reliever and it has excellent anti-inflammatory properties. 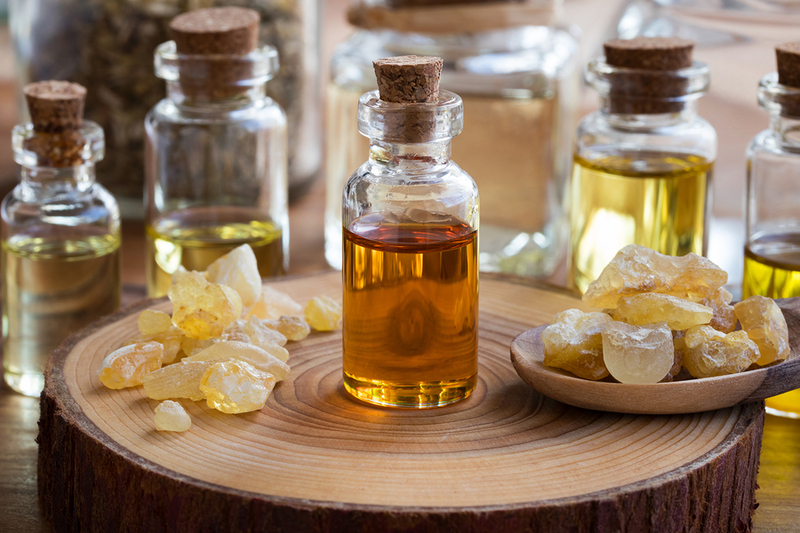 Boswellia is the tree where frankincense is from and I’ve seen that written on a product used by a massage therapist as one of the things she applies to people who have sore muscles and who are feeling achy after the massage. This was also really interesting to me that aromatherapy hand massage, with frankincense in it, was given to people with cancer and their pain was significantly reduced. This is also good for people with arthritis, hand massages with essential oils. If you have questions about essential oils, you can reach Shyloe Fayad on Facebook, or email her at Shyloe@HappinessHabits.ca, or you can join her Facebook group which is “Happiness Habits by Shyloe”.